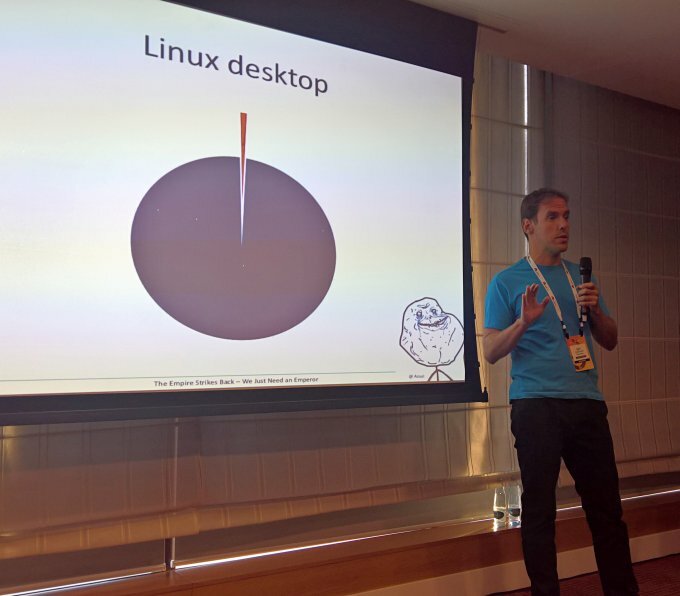 If you've noticed a brief absence of wisdom and rant on Dedoimedo in the previous week or so, that was because I was busy attending and presenting at the Open Source Summit in Prague, Czech Republic. For those wondering, yes, this is the new unified event combining the likes of LinuxCon and CloudOpen and similar venues under a single umbrella. So let me give you a somewhat longer overview of how it went and what it was like, and finally, tell you a bit more about my own presentation. Images, philosophy, chocolates, the whole nine yards, and whatnot. After me. 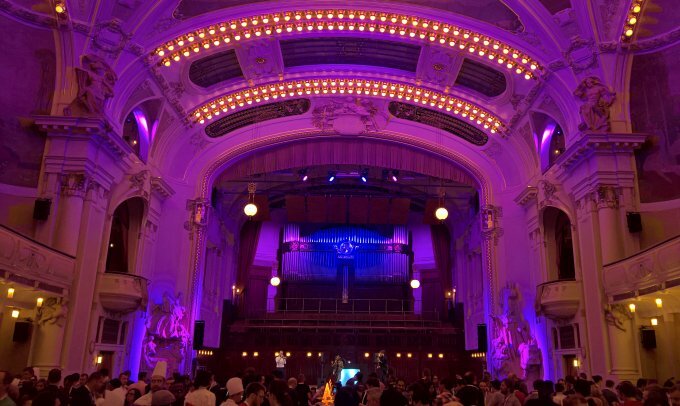 The conference took place in the Hilton Hotel in the Czech capital. It's a nice, modern venue, well suited to accommodate the 2,000 odd folks who had come to sample the technical sessions, free T-shirts and an odd raffle or three. It was quite busy, with the main event co-hosted back to back with the ELC, KVM Forum, MesosCon, and the Diversity Summit, making for a somewhat hectic time, and also forcing people to have to choose what to attend, as physical constraints of our universe still prevent people from being in two places at the same time. The conference was well-organized. 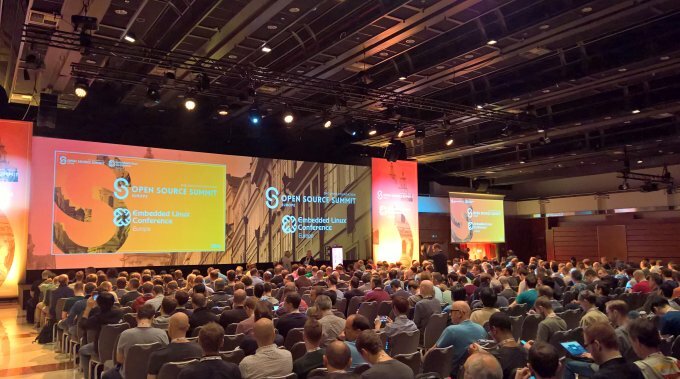 Looking at the last four years of my participation, I'd say this ranks second after LinuxCon 2014 in Dusseldorf, which had the best overall organization, ambiance, food, as well as quality of talks and keynotes. However, to be frank, it's somewhat difficult to compare to the Berlin event last year, where I was able to spend only a few short hours to deliver my own session before having to fly back. This time, I was there for four full days, plus change. The vendor booths were the usual combination of marketing, promotion, HR CV hunting, and some good ole networking. The names above logos and on posters were also rather interesting, with fresh new players you would not expect to see, like Microsoft and Amazon, and then some familiar faces like Red Hat, IBM and Intel. Most of the focus was on containers and containers orchestration, less so on pure Linux or, as you might expect, large-scale systems and frameworks. Understandable, but then, the whole new micro-services thingie was so overplayed, it felt a little flat. I guess there's some technological saturation in the commercial Linux world, and it's hard to come up with stunning innovation year after year. Linus wasn't around that much, and his absence was present, if you get the drift. Still, it wasn't all bad. Far from it. Another novelty was that people were more "open" talking about non-technical stuff. There's always an element of normal day-to-day interaction, but given the code of conduct and focus on adhering to a somewhat ambiguous strictness of behavior, it came as a pleasant surprise to see people feeling comfortable to discuss politics and the impact thereof on the technology world. Might be the change of the mission statement from a purely tech-focused venue to a more business-colored conference. The keynotes also reflected this change. That said, despite the new angle, I just wasn't as engaged as in the years before - we're talking Dusseldorf or the 2015 CloudOpen in Dublin, Ireland. Maybe I'm older and more jaded, or maybe we're coasting on a plateau, and this technological saturation is doing its thing. Which is fine, because it gives you more time to network, and also check out the city. 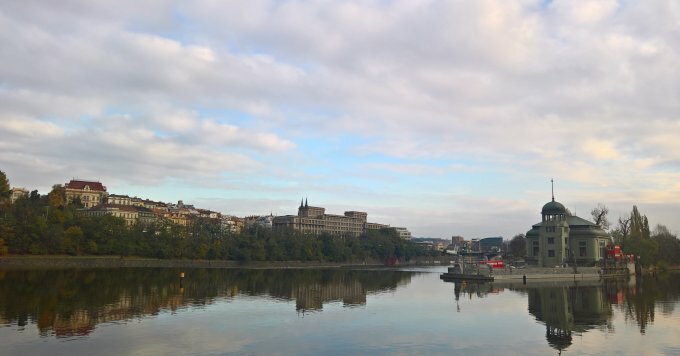 Prague is a very nice place. The Austro-Hungarian architecture, mild, calm, pleasant people, good food, reasonable prices. And of course, when you sing popular songs in the local language, you get mega bonus dope points from everyone. I had my mandatory stage appearance alongside the local band at the conference end party, singing, you guessed it, Jozin z Bazin, a delightful Czech national song with a subliminal cultural and political message from days of yore, and which I also happen to use as a ringtone on one of my phones. It was absolutely splendid. There was much rejoicing. I performed at that stage. Honest. My session was community focused this year. Less techno, more Linux spirit. 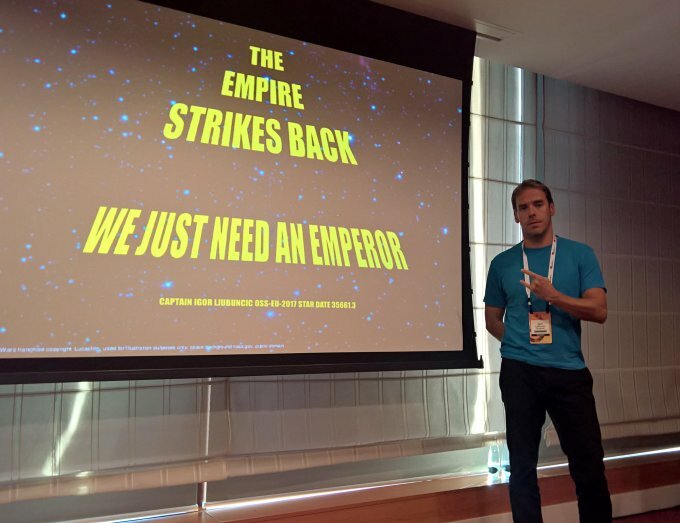 The presentation was titled The Empire Strikes Back - We Just Need an Emperor, and it was about how we can make the Linux desktop tick over the 1% barrier and become a world-class operating system, in a similar fashion to server flavors. It was the last slot of the conference, and there were about 60 people in the room, with good space and aircon, so we didn't have to exercise any Hunger Games scenarios. What I really liked was seeing a lot of familiar, friendly faces from people who had attended my sessions in the previous years. It's always a good feeling knowing you've done something right, when people come back to hear more of your stuff. Of course, I used the proven emotional blackmail techniques like in the years before, free chocolate and lame jokes. More rejoicing ensued. 'Twas good. I am happy with the OSS Europe 2017. It was a solid success. Smart planning, great organization, great atmosphere, friendly attitude, and a colorful mix of mingling, food and technology. My own session was received well, I met old friends, made some new ones, and that's what it's all about. While it's unlikely that my call to action will result in any major revolution on the desktop side, and we still haven't figured out who the emperor - or empress - ought to be, having fun is all that matters. I intend to continue participating, well, provided my future talks get accepted, and I am definitely looking forward to the 2018 event. Anyway, thank you for the fish and see you next year.